Soil preparation is the foundation of your garden and is absolutely teeming with life. Soil isn’t just dirt! 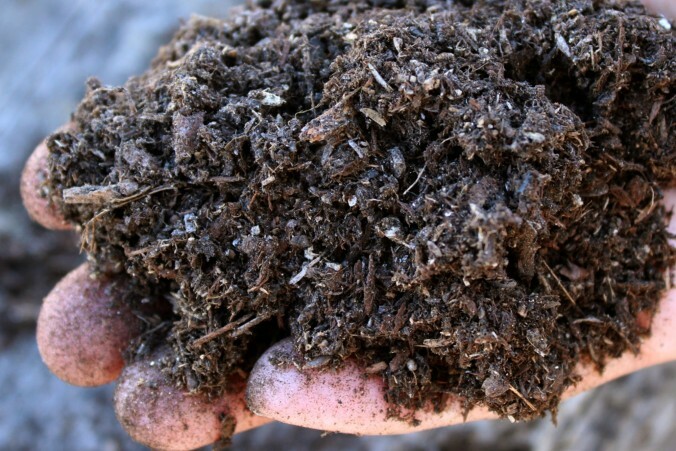 Soil is made up of a combination of particles, insects, air and decomposing organic materials. It’s full of microscopic life-one teaspoon contains over one billion bacteria! It also has large numbers of fungi, protozoa and nematodes* along with animals and insects. Most of these organisms are harmless to pets and people. *most nematodes do not harm garden plants, only a few types are problematic. If you’ve had trouble growing plants in your garden, you may think that your soil is “bad” and that you need to fix it by adding gypsum or other amendments. However, unless your garden was compacted by heavy machinery or contaminated materials left behind after a construction project, there is no need to do anything. Sometimes soil is problematic to work with, but in most cases you won’t need to add anything except compost or mulch. You may not need to do a soil test** and might want to instead try the tests detailed below first. If you are involved in school or community gardens and are worried that your soil may be contaminated, read Soils in Urban Agriculture: Testing, Remediation, and Best Management Practices from UCANR to determine what to do. **these “tests” only measure nutrients levels such as nitrogen, phosphorus and potassium and are usually unnecessary. Use a shovel and dig a hole six inches wide by six inches deep. Fill the hole with water and then wait 24 hours. If the water doesn’t drain within 24 hours, move to the next step. If the water is gone, you can skip the next two paragraphs. Soil contains layers that occur naturally, although sometimes layers are created by construction or maintenance activities. Breaking up these layers helps water and air penetrate for better drainage. To break up layers, use a shovel or tiller and dig to a depth of 6-12 inches. When breaking up the soil, it’s not necessary to add amendments. Another important note is to avoid working when it is wet, as this creates dirt clods that are difficult to break up and harms the soil structure. It’s helpful to know your soil type in order to understand how frequently you need to water. Soil types are a combination of three soil particles; sand, silt and clay. Sand is the largest particle and clay is the smallest, and silt is in between the two in size. Water and air flow easily through sandy soils so they tend to dry out quickly. Water and air flow slowly through clay soils which tend to retain moisture. Try the “feel” test as well as the jar test. Note: you can skip the ingredient Calgon, this is just something that helps speed the process. For an explanation on watering for your soil type, read Watering 101. To learn more about planting, read Planting Transplants for planting small plants perennials, and Planting Treesto learn about correct tree planting. In the past, gardeners were told to mix/dig in a soil amendment or other product into the planting hole before planting flowers, trees or shrubs. However, research fromWashington State Universityshows its best not to do so.